Do the results of every new Parkinson’s exercise study leave you confused about the role of exercise in managing this progressive disease? If so, you are not alone. The confusion lies in the fact that these studies were not designed to be compared to each other. If they were, they would not use different outcome measures, exercises, and segments of the Parkinson’s patient community. The results of the studies are not contradictory, but totally unrelated. Take the Study in Parkinson Disease of Exercise (SPARX) published Dec. 11, 2017 in JAMA Neurology. It found that people in early-stage Parkinson’s, and as yet unmedicated, could delay the progression of Parkinson’s symptoms, by doing high intensity (target 80 –85 percent of maximum heart rate) treadmill exercise three times a week. Many people with Parkinson’s interpret this to mean that if they can’t exercise at this level, they might as well not exercise at all because there is no benefit. This is simply NOT true. SPARX does not invalidate earlier studies (like the Parkinson’s Outcomes Project) revealing that as few as 2.5 hours per week of almost any exercise can ease both motor and non-motor Parkinson’s symptoms and improve quality of life. This includes everything from Tai Chi and gardening to Tango dancing and boxing. My personal experience with exercise over the 20 years I have lived with Parkinson’s has definitely shown this to be true. 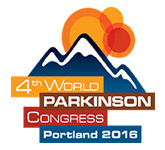 Movement Disorder Specialists are now recommending exercise be part of overall Parkinson’s disease management from the point of diagnosis. So, even if high intensity exercise is not in your cards, continue doing whatever exercise you can, as the benefits are many! If you are not exercising, discuss this option with your doctor and get moving. For more insights into exercise and Parkinson’s, check out my new book — Parkinson’s? You’re kidding me, right? : One woman’s unshakeable belief in overcoming a shaky diagnosis! 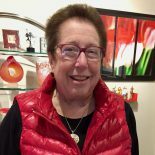 This entry was posted on January 29, 2018 by mydancingintherain in Advocacy, Exercise, Parkinson's Awareness, Parkinson's symptoms, Personal Trzining, Physical Therapy.